Being kept updated by members of the community, so far Chrislau and currently TalTal (aka Silat). I WILL ONLY RESPOND TO QUESTIONS POSTED IN MY SUPPORT FORUMS! All credits for this one go to Kaldran, who not only coded the updater but also hosts all the files on his own server! Release notes, installation instructions and answers to frequently asked questions, a list of recommended addons, credits and other useful information can be found on my portal page at gm9.eq2interface.com. You can support ProfitUI development by making a donation. Thank you. 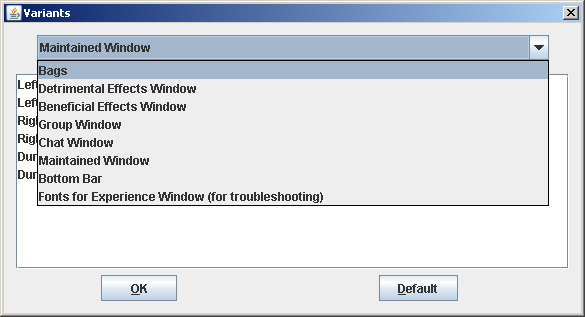 Java Runtime Environment Version 1.6 is required to run it. Please go to java.com and get your copy if you do not have it yet. it doesn't work for me i have installed last version of java , but whe i doubleclick on updater.jar nothing happen. I have 1.6. It says the service is not longer available! Help? Last edited by aigor : 09-20-2007 at 06:03 AM. As is written, read FAQ. 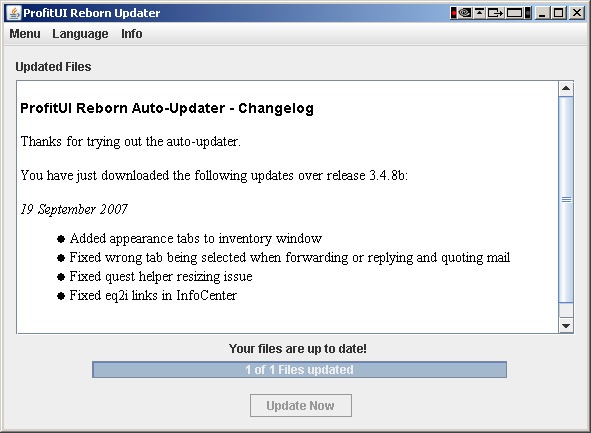 Well, then i click on Installation instruction and there is well explained how to use The Updater. I downloaded last version of Java, and then clicked on updater.rar, cliked on configure, filled path to EQ II and updater ran! Great job, thank you very much. 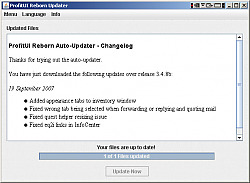 Thanks for trying out the auto-updater. and never forget : ProfitUI the best forever !!! Kudos on the updater. Very much appreciated!! Last edited by jumpeur : 09-21-2007 at 08:30 AM.